Traffic. Near the Honduran/Nicaraguan border. 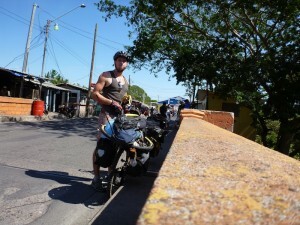 Reaching the Nicaraguan Border – the end of Stage 5 of the Tour de Zack y Tony AKA Operation: Jungle Boogie! 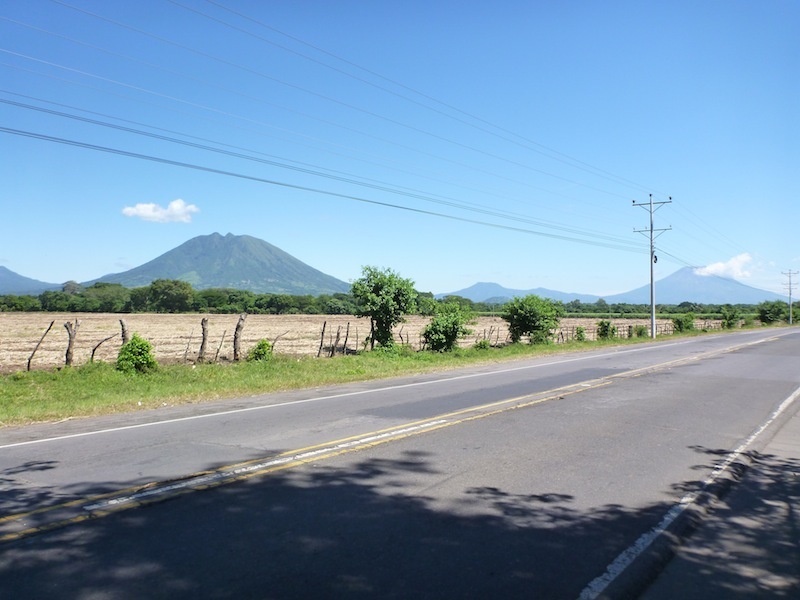 After a couple of days of glorious inactivity and a bit of salsita, Tony and I left Playa Tunco and headed east, our gaze fixed fixedly towards the border of Nicaragua, about 360 km away. 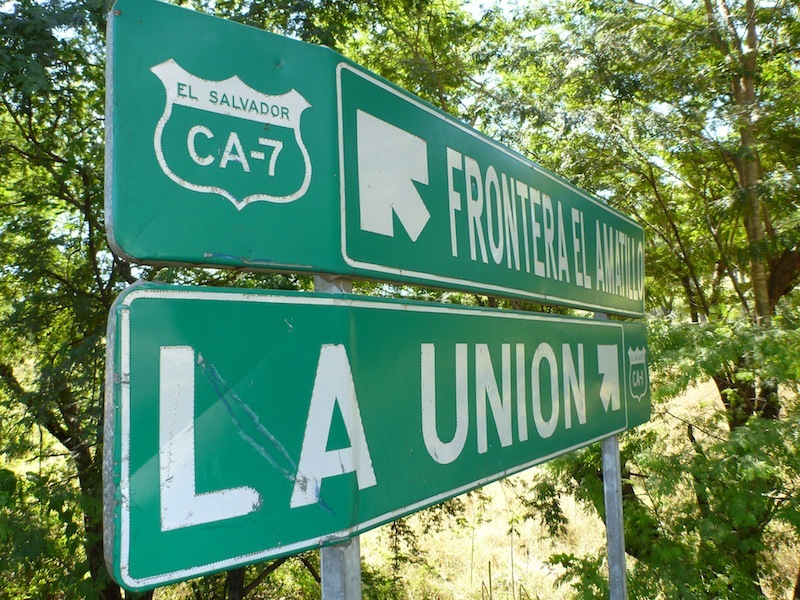 To get there we would have to cross the rest of El Salvador and a little slice of Honduras. It took us five days, 62 pupusas, and 13,000 litres of water, but at mid-day on the fifth day Tony and I crossed our sixth international border of the Tour. Once my passport was stamped by the Nicaraguan officials, I cracked into a ice-cold can of Toña, and in one fell swig consecrated the end of Stage 5 and cleansed the palate for Stage 6. It had been a good stage, one that over the last 2 months and 1800 kms has brought us through Belize, Guatemala, El Salvador, and Honduras. It had put both our bodies and our travel spirits through the toughest trials of the tour. 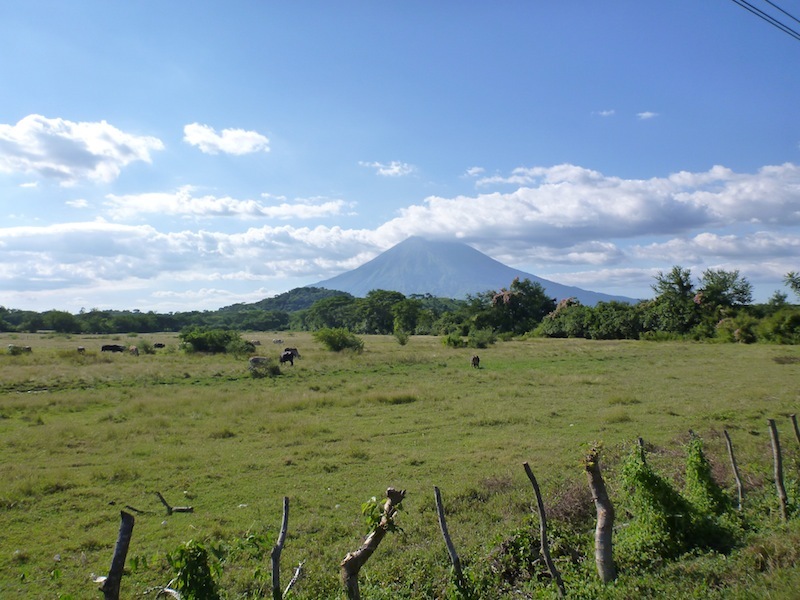 Now though, with savage hills of Guatemala far behind us, with El Salvador and Honduras duly dismissed in passing, we find ourselves on the frontier of Nicaragua within spitting distance from South America. With just 1500 km separating us from Panama City we are having trouble keeping the grin of self-bewilderment off our faces. Not that Tony actually has a face. He is a bicycle. Neither here nor there. 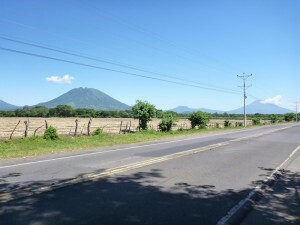 Crossing the El Salvador/Honduran border. 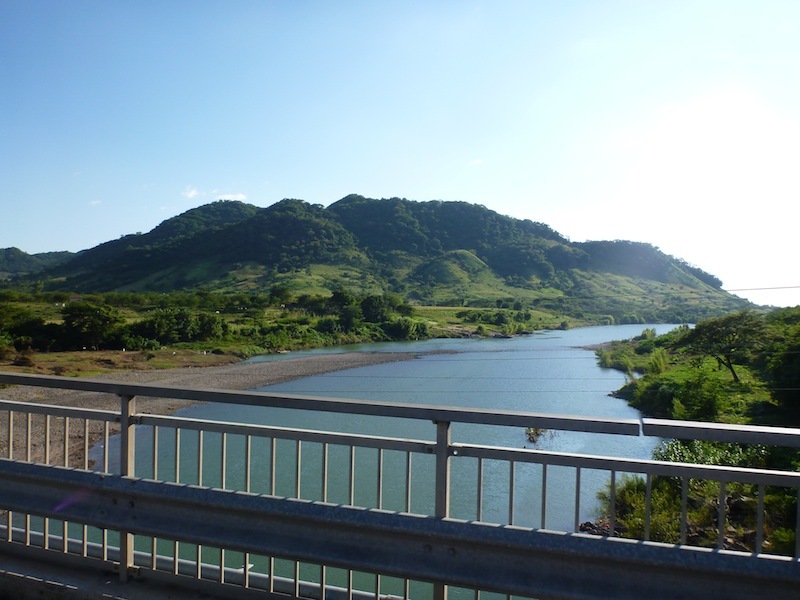 There is no doubt that we flew through El Salvador and Honduras – essentially skipping the countries. 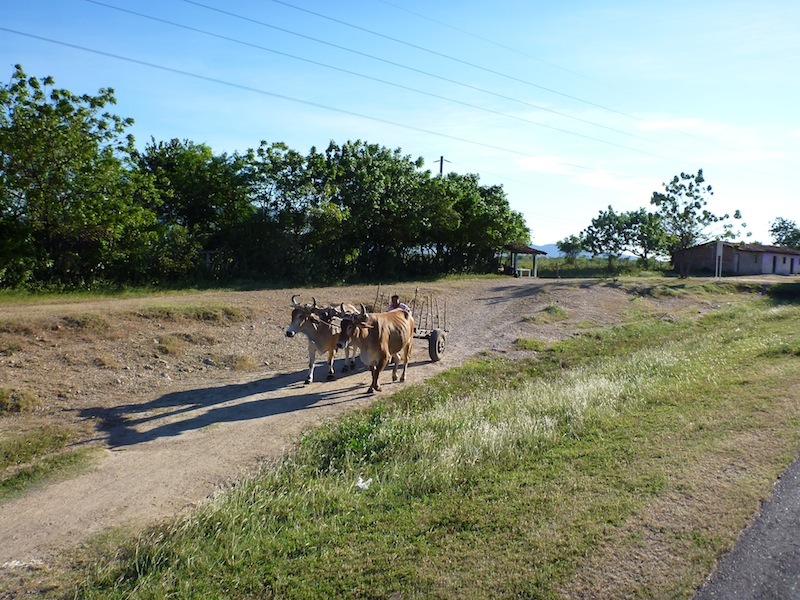 That said, when traversing a country on a bicycle, its impossible to miss out entirely on the people and landscapes you are riding through. You still have the chat with the shopkeeper about how her sister snuck into the US using the papers of her fiancee’s previous wife (who had passed away but whose death was never declared). (Surprisingly, the new marriage didn’t work out when she discovered that her husband was sleeping with one of his step-daughters.) You still meet the bubbly old guy at the fruit stand with that adventurous gleam in his eye who looks to be on the verge of tossing away his cane and grabbing the nearest bicycle to join you on your trip. 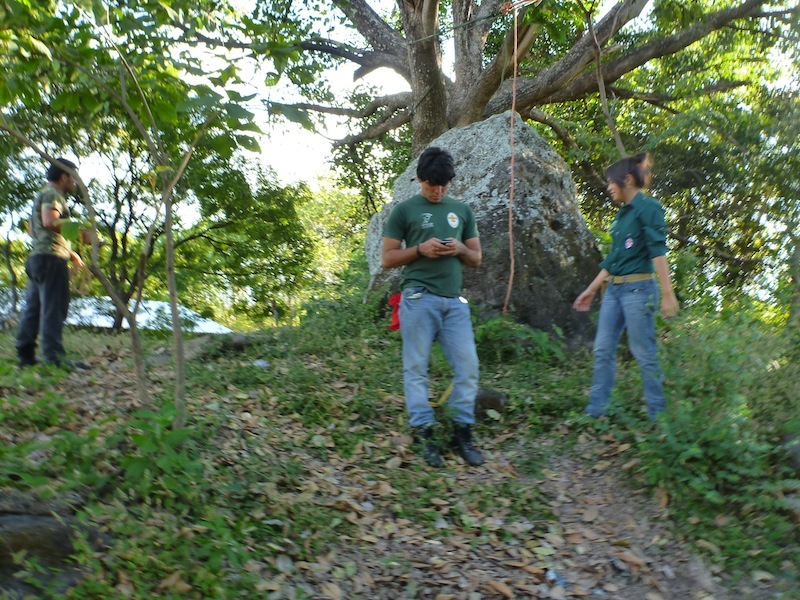 You still get to employ your long dormant rock-climbing skills to help a group of scouts in Honduras set up various rope courses for the youngsters. On the bike you always have a gradual transition as you move from one place to the next. 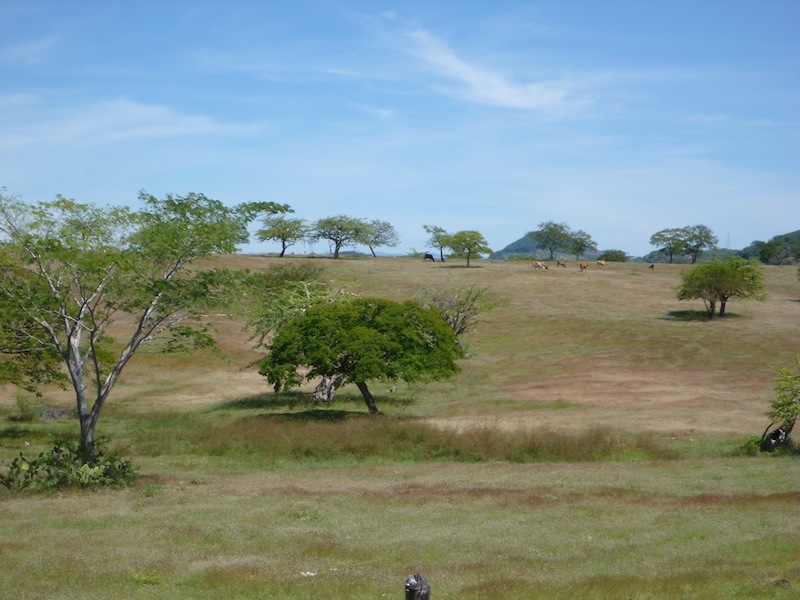 The boring coastal farmlands slowly gain character as the bold regal volcanic cones steadily rise about the shimmering heat waves on the horizon. The temperature in the air drops bit by bit as you leave the giants behind and begin your long climb up a canyon wall into the highlands. A country cannot sneak up on you like it can in an airplane or a bus. Not everything is gradual though. For example, accents seem to change instantaneously upon crossing a border, as do beer brands. No doubt, the two are inextricably related. 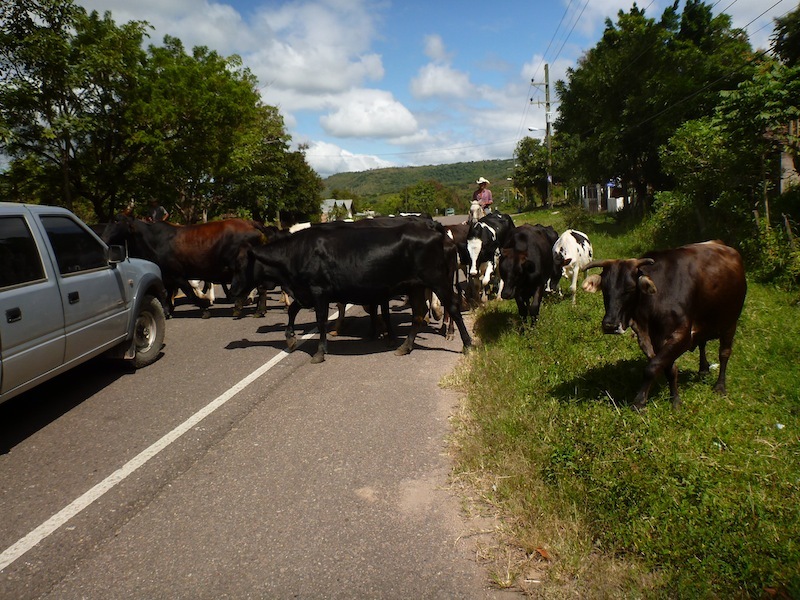 So rushing through El Salvador and Honduras was a tough decision for me. In the same way that I find it impossible leave a book unfinished out of respect for the author, it pains me to leave a country I have not yet properly explored. Bicycle or no bicycle, travel weary or no, I feel like I’m not being respectful to the country and it’s people until I’ve gotten the full story. It is an indisputable truth of travel though that you can never see it all, and sometimes tough decisions must be made. 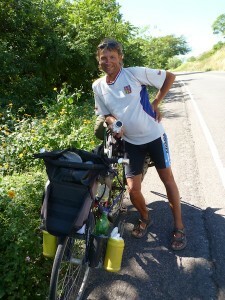 Czech rider going north, we met just west of Choluteca. His name was the Czech version of Peter. Pytor? and he had started in Prague, rode to Spain. 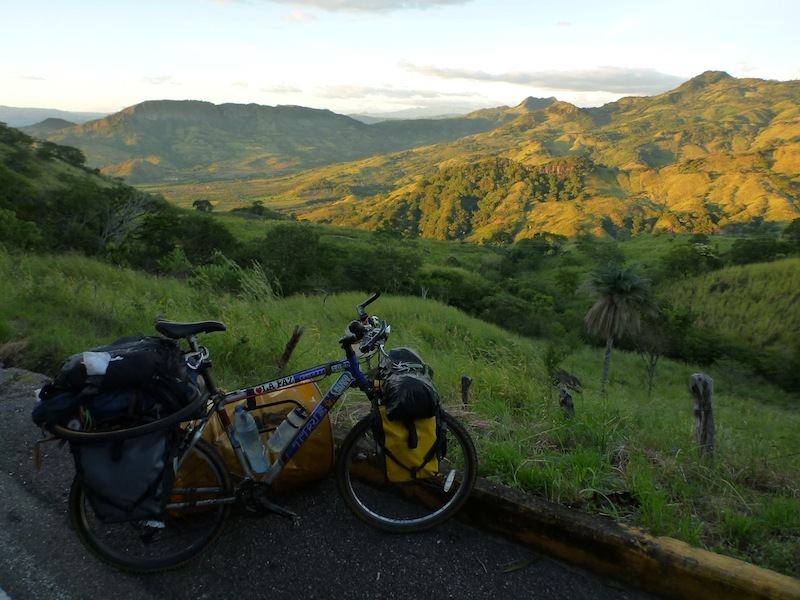 Crewed on a sailboat from Spain to Venezuela, and is now riding from Venezuela to Canada. It’s the end of yet another era. 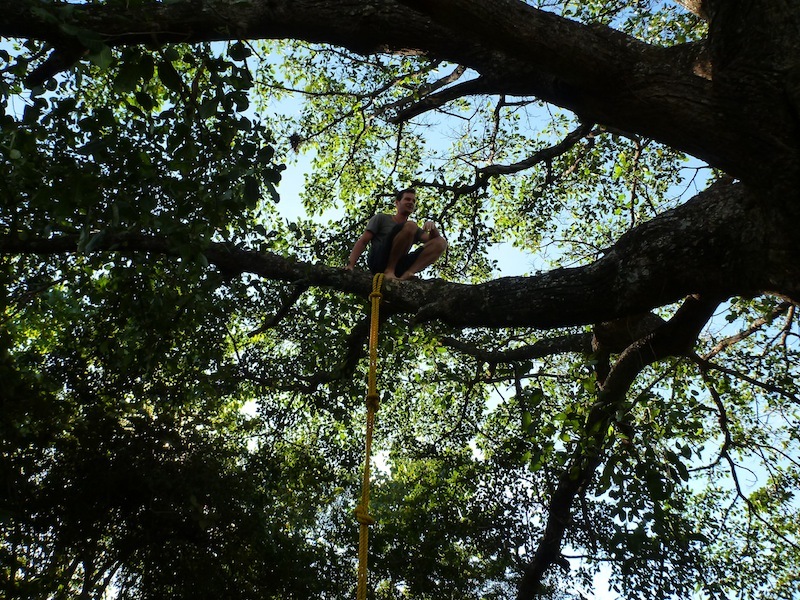 If you missed out on some of Stage 5: Belize, Guatemala, El Salvador, and Honduras (AKA Operation Jungle Boogie!) you can now check out the summary page complete with links to all the blog post and photos. Just click here. And we always encourage people to visit our THANK YOU page, were we pay a small tribute to the ordinary, and yet extraordinary, people that have made this Tour the tour it has been.